We spoke to Abraham Thomas, CEO, Radio City, about India's first 'Video FM' station. 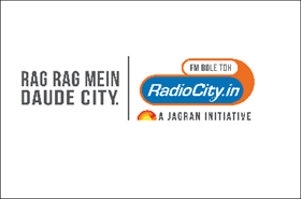 Radio City 91.1FM, a part of Music Broadcast Limited (MBL) and a subsidiary of Jagran Prakashan, has recently launched Video City - a platform that allows listeners to consume FM in a video format - in Mumbai. The first video FM station of India allows listeners to watch Radio City 91.1FM content and catch the action live from the studio while on-the-go and on a device of their choice. "Radio City launches Video City." Video City can be accessed by listeners across the globe. They can enjoy non-stop FM entertainment in a video format by visiting http://www.radiocity.in/videocity/. Speaking to afaqs! about the launch, Abraham Thomas, CEO, Radio City, says, "It's about making the whole radio experience more experiential. So now, whenever a song is being aired, the FM station sends a YouTube link to the listeners. We have Beta-tested this in Mumbai and very soon we are moving into Hindi speaking markets such as Delhi, Lucknow, Jaipur, Pune, Kanpur and Ahmedabad and then other regions." "One of the consumer insights we picked up is that there is a lot of interest amongst listeners to consume surround programming. Every time celebrities visit our studios, we get crowds waiting outside to see them and interact with them. So, we decided to use technology to give our listeners a sneak-peek of what's happening inside our studios," says Thomas. Video City will offer a range of customised programmes consisting of celebrity interviews, viral videos, live studio action, Babber Sher, traffic updates, curated playlists and much more. Playlists available on the platform will be mood-mapped to ensure that the curated songs are relevant and in sync with viewer preferences. "We spoke to Abraham Thomas, CEO, Radio City, about India's first 'video FM'." The concept may be new in India but it is not new altogether as there are a few audio-visual FM stations spread out across Europe. In fact, KISS 96.9 is the first such FM station in Asia that was launched in Sri Lanka. But Video City has evolved from a unique product mix to remain distinct from other audio-visual FM stations. "While most of the international audio-visual FM stations are more into music, we got a mix of content which includes live studio programmes, interviews, humour, etc. So, whenever an RJ goes Live, which is four to five times a day, the audio-visual feature will be activated," informs Thomas. "Radio City 91.1FM launched Video City, a platform that allows listeners to consume FM in a video format in Mumbai." The technology that Video City is using has been borrowed from France and it's very basic. Currently, the private FM station runs 47 Live web radio stations. So, if one goes to radiocity.in they can actually listen to all of them. Also, Radio City curates playlists on Apple Music, which provides different kinds of music. "The objective is to build a community of listeners who consume radio through Video City and then the monetisation will follow," says Thomas. "Very soon Video City will be launched in Hindi speaking markets such as Delhi, Lucknow, Jaipur, Pune, Kanpur and Ahmedabad." He adds, "We have moved ahead of traditional platforms like OOH. There are two to three standards in which digital is getting marketed such as search engines, social networking platforms - Facebook, Twitter, Instagram - and off-air campaigns. To create a buzz, especially for a property like Video City, digital works. So, a combination of digital and radio is being considered and this is how it is going to be marketed." As far as audience engagement is concerned, the FM station believes in keeping content separate from the platform. "Earlier, content and the platform were considered one. But now, the content that we create has to be multimedia; of course, it first goes to radio and then on other mediums. So, as a result, the whole approach to content creation has become far more focused. It's no longer only radio," says Thomas. "Video City will offer a range of customised programmes consisting of celebrity interviews, viral videos, live studio action, Babber Sher, traffic updates, curated playlists and much more." Going by the brand philosophy - 'Rag Rag Mein Daude City', Radio City wants to remain as local as possible, in every market. Further, the brand wants to win consumer response in every city. Hence, aiming at its TG, the FM station does a lot of research on key content drivers in every city. Only then is the music programmed, on the basis of mood-mapping of listeners.